Want to try it out? Download Google SERP Counter on the Chrome Web Store. The code is also freely available on Github.com/MartijnOud/SERPCounter if you want to run it as an unpacked extension. The extension supports variable results per pages and keeps track of the last visited page to display the correct count. Best way to use it? In your Google Search Settings you can change how many results display per page. I have it set at the highest of 100 per page. In chrome://extensions/ you can also tick the “Allow in incognito” box (Extension contains no tracking scripts) so it works in Incognito mode. 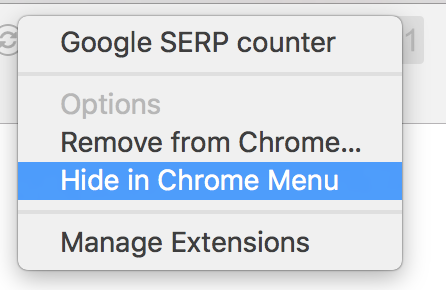 Lastly you might want to right click on the extension icon in the Omnibar and click “Hide in Chrome Menu”. Now that you are all set up you’ll never have to count again! 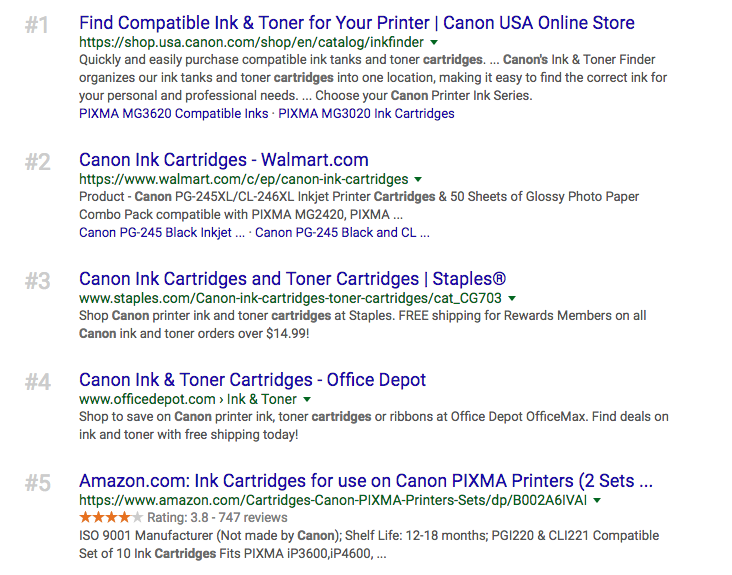 This is especially useful when analyzing SERPs and you’ve jumped halfway down the page with a “Find” command.